Grameen America maps median household income to determine areas of greatest need for a branch location. Grameen America, Inc., uses Esri Business Analyst to identify areas of need, like Los Angeles, and help women, like Bertha, break out of poverty. The nonprofit organization is dedicated to helping women who live in poverty build small businesses to create better lives for themselves and their families. Grameen America offers microloans, training, and support to create jobs that transform communities throughout the United States. Based on the Nobel Peace Prize-winning model of the Grameen Bank in Bangladesh, Grameen America has demonstrated that there is a tremendous need for access to credit and alternative financial services in the United States. 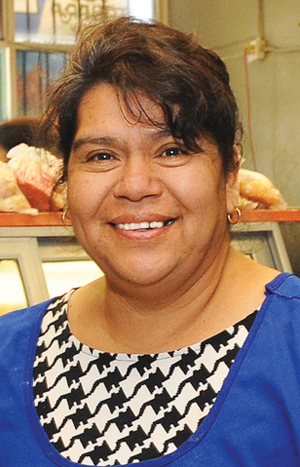 Bertha, a member at Grameen America’s Los Angeles branch, works side by side with her husband in a bakery in the Boyle Heights neighborhood. By sharing a space with another baker, Bertha saved her business money. This also gave her all the equipment she needed, including industrial-sized ovens and large mixers. Despite these advantages, her production rate remained slow because she did not have enough ingredients on hand. With her first Grameen America microloan, she bought flour and sugar in bulk to increase production. Today, she and her husband take turns traveling up to 90 miles outside Los Angeles to sell their cookies at Mexican fairs and farmers’ markets. Her goal is to expand her business by opening more bakeries in high-demand markets outside the city. Bertha, Grameen America member, used her microloan to purchase ingredients in bulk, increasing production in her bakery. Since opening in 2008, Grameen America has disbursed over $171 million to more than 32,000 women. According to the US Census Bureau’s 2013 Current Population Survey, there are more than 46 million people living below the poverty line in this country. Of this group, approximately 19.4 million are located in principal cities of major metropolitan areas. In just six years, Grameen America has expanded to 11 cities across the United States and Puerto Rico including New York City, Boston, Indianapolis, Omaha, Charlotte, Austin, Union City, Los Angeles, the San Francisco Bay area, San Jose, and San Juan. Branches are located in areas with high concentrations of people living below the federal poverty line who are in need of Grameen America’s financial products and services. 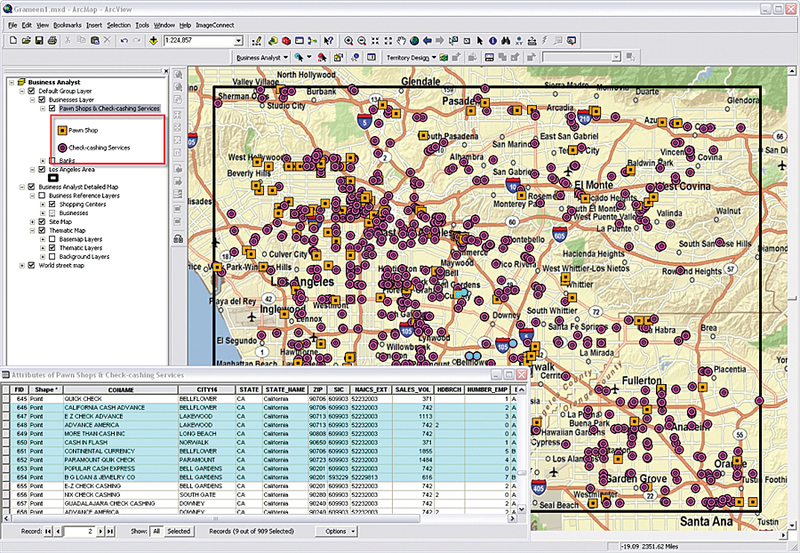 Esri Business Analyst is used by many organizations to look closely at geodemographic information to better manage business processes such as expansion and localized marketing. In 2009, Grameen America joined the Esri nonprofit program, which helps conservation and humanitarian nonprofit organizations around the world acquire ArcGIS software and services. Esri worked closely with the Grameen America team to determine which demographic variables are indicators of successful markets. Using these indicators to identify ideal target markets, Grameen America has used Business Analyst to prioritize metropolitan areas for program expansion. 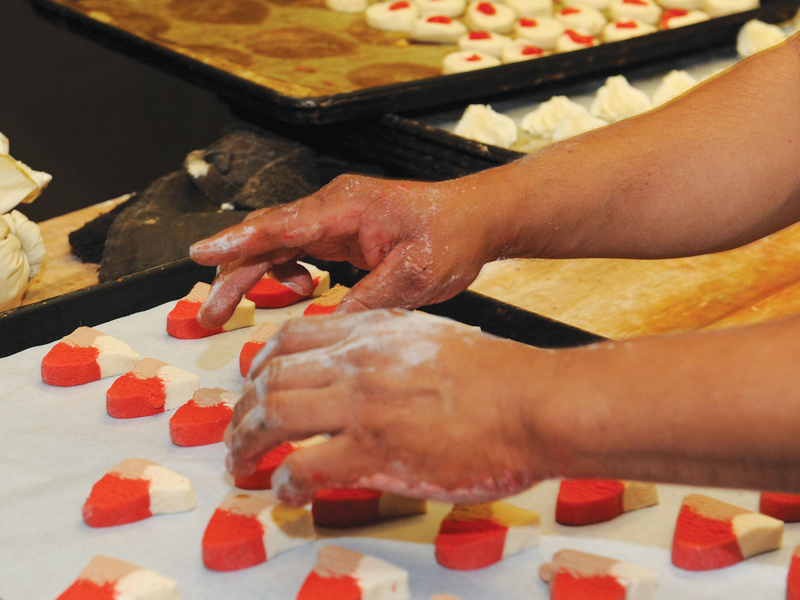 Bertha's Mexican cookies are her best-selling item. Esri has helped pinpoint specific neighborhoods that Grameen America should target upon market selection. “Now, as we look to enter new markets, we are able to more easily select which cities to prioritize for growth,” said Katherine Rosenberg, executive vice president of Grameen America. Today, Grameen America uses Business Analyst to build custom datasets that identify the high density populations the organization is trying to serve. “We were amazed at how easy it was to combine all of our different criteria to be able to see areas that had the highest concentration or the densest clusters,” said Rosenberg. Map of pawnshops and check-cashing services in Los Angeles Metropolitan Service Area.